It didn’t take a ton of research to figure out that the xylophone bars had to be shaped, not just cut to length. In this case, tuning means carving the bottom of the bar to yield the desired tonal characteristics. 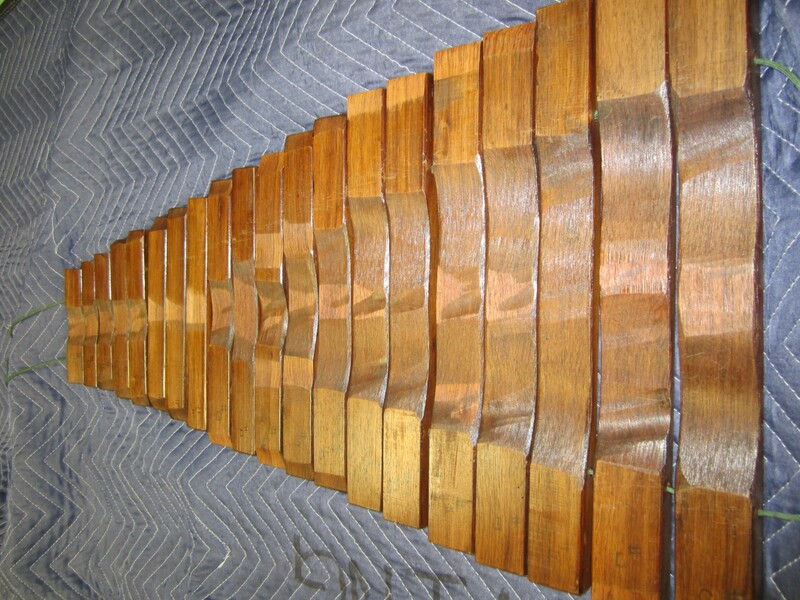 Here is a picture of the underside of the bars for a Kori xylophone that I checked out at the University of New Mexico. Thanks to Scott Ney, I was able to dissect this instrument! Shaped underside of some of the bars for a Kori Model 310 xylophone. While I don’t have the skill (or patience) to provide a full-on description of the physics related to vibrating objects (like a xylophone bar,) I will describe a few basics to get you started. Nerds: you probably already know this stuff and can safely skip to the next section. We all know that when something, like a bar of wood, is whacked, it vibrates for a while and then the sound eventually dies out. The duration of the sound is referred to as the “decay” of the signal, and there is a precise definition that quantifies the decay duration in seconds. What many people don’t know is that pretty much every object has a preferred frequency at which it generally vibrates. Think of whacking a frying pan versus big pot; you can hear the difference in the tones between these two objects. 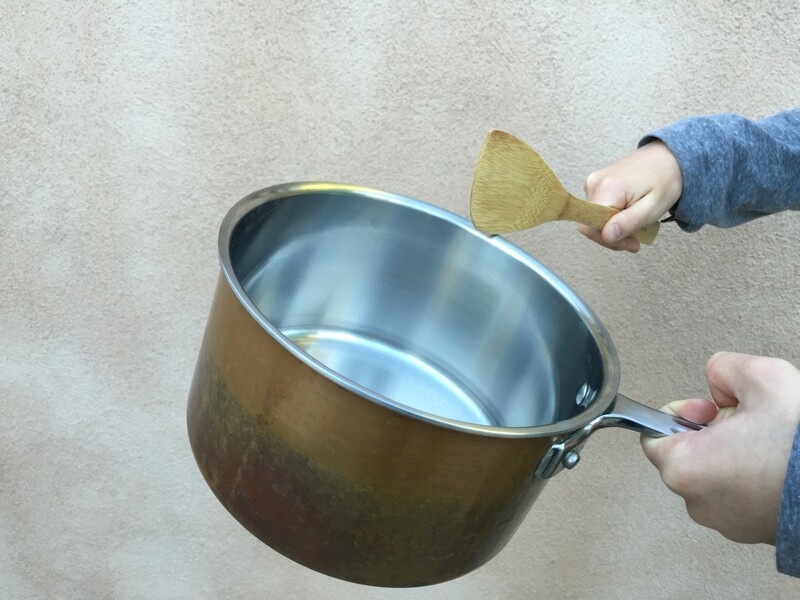 The frying pan “wants” to vibrate at a higher frequency than the big pot. Further, each object will typically vibrate at a series of discrete frequencies called modes. For those without science knowledge, what you may not know is that what you are really hearing is one “fundamental” tone, and then a series of different, higher tones that are related to the fundamental tone in complex ways. It is the relationship of this fundamental tone and the “overtones” (and how quickly each tone dies off) that creates the overall tonal characteristics (i.e., the timbre) of the object. It turns out that it is possible, by choosing the shape of the object, to control the fundamental and overtones. WARNING: You’re entering a zone of extreme nerdiness. If you don’t care about physics and math, you may want to skip the next few sections. Although, be warned – nerd-speak is sprinkled throughout the rest of this blog. Helpful diagram to determine if you are a nerd.